Spray a 7-by-11-inch glass baking dish or a 2-quart casserole with non-fat cooking spray. In a large bowl, egg substitute, egg whites and buttermilk. Add mustard, paprika, salt and pepper; whisk to combine. In another large bowl, toss tomatoes, spinach, bread, ham, parsley, green onions and roasted red peppers. Add the egg mixture and toss well to coat. Bake until the casserole has set, 40 to 45 minutes. 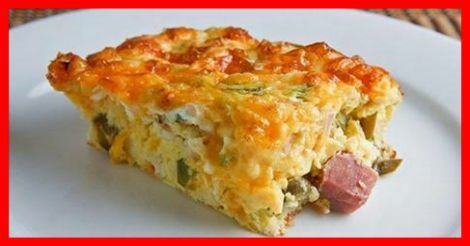 Uncover, sprinkle with cheese and continue baking until the casserole is puffed and golden on top, 15 to 20 minutes more. Remove from oven and cool for 15 to 20 minutes before serving. Cut into 6 equally sized pieces.